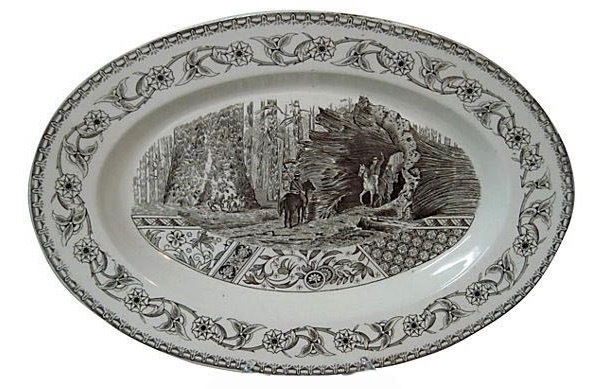 T & R Boote (1842-1906) "Yosemite" platter. The registry diamond on the back of the platter indicates it was registered on January 13, 1883. We went to Yosemite National Park, 11 of us, to celebrate my mother-in-law's 96th birthday. 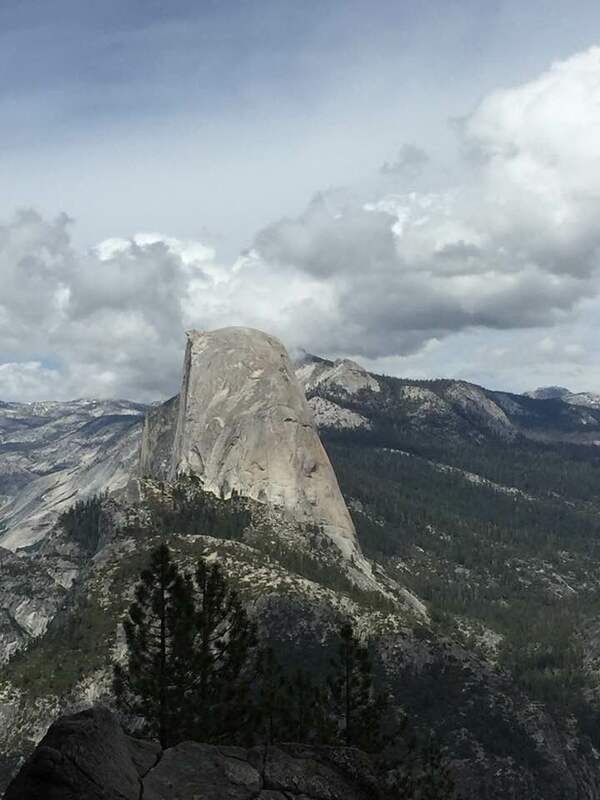 She is a native Californian, and first went to Yosemite in 1923, when she was one. She says her first hike was on her father's shoulders. Yosemite is one of her favorite places. 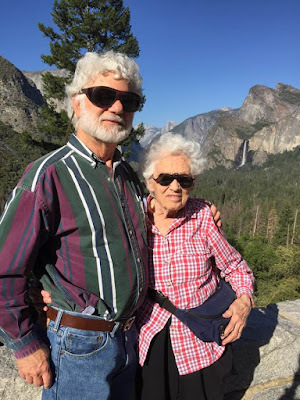 She has hiked many of the trails over the last 90 plus years, and walked to the base of Yosemite Falls and in Yosemite Village, about four miles, a few days ago. (No wheel chair, no walker, no cane.) Maya, her great granddaughter, said that Grandma Mary was probably the oldest person in the Park. I thought so too. 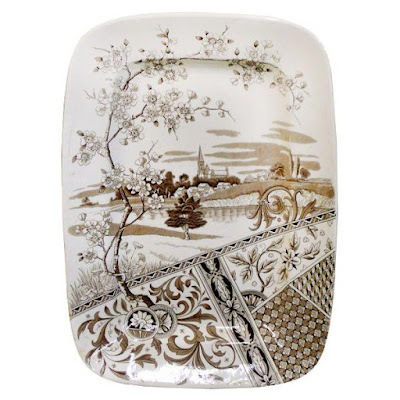 What does my family celebration of a long and well-lived life have to do with transferware? The answer is a series of patterns made by T & R Boote titled "Yosemite." As with many Aesthetic patterns, there is rarely a connection between the title and the design. 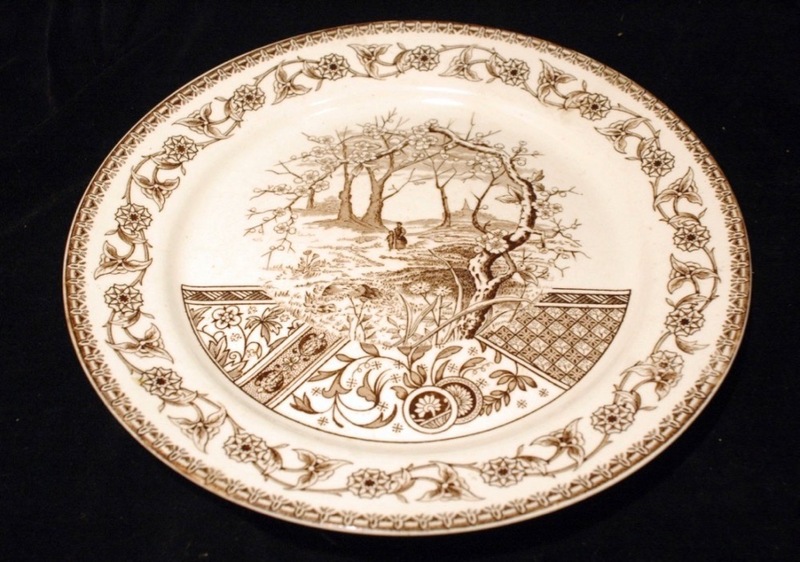 T & R Boote "Yosemite" 14.5 inch vertical platter. Does this look like Yosemite National Park? 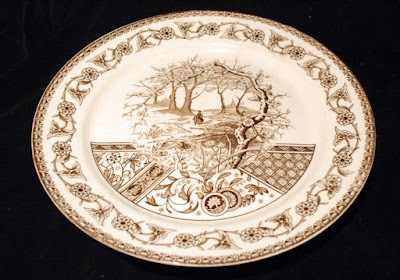 However, the pattern on the "Yosemite" platter below does resemble what you might have seen in Yosemite National Park in the 19th century, especially the giant sequoias, which are also known as giant redwoods. You can still see them today. By coincidence, there was an article in the New York Times recently about the Mariposa Grove of Giant Redwoods, which just reopened after three years of restoration. Read the article here. "Yosemite" 21.5 inch platter. Notice the giant sequoias and the man riding his horse through one. 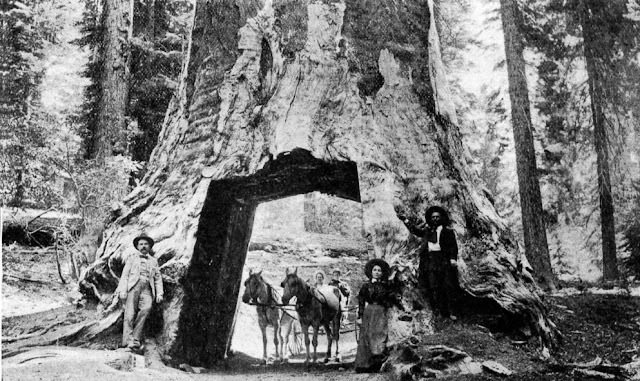 An old photo showing a carriage driven through a giant sequoia. The giant trees aren't the only wonders that Yosemite has to offer. However, I don't want to tempt you to visit. There were so many people in Yosemite Valley in early June this year that it seemed like Midtown Manhattan during rush hour! I jest. Sort of. David and Mary/Notice one of the beautiful water falls on the upper right. It would be lovely to see Half Dome on a transferware platter.